Feedbacks, surveys, emails, phone calls – interaction with the customer, including by way of real time engagement, is a must today for any business. These analytical collations provide insights and patterns for further course of action. Have a strategy in place for future. Data mining software aid in spotting patterns and cycles. Statistics identify top sellers and low performers, stimulating corrective actions. Historical data, market surveys, comparative analysis enable better comprehension of current position and action proposed. Tools such as RapidMiner can be used to design future plans. 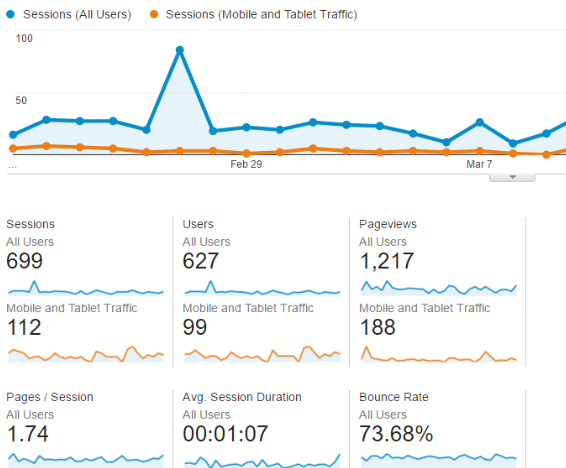 Analyse the interaction of the visitors to your site. Which page holds interest, what do they like on a page, is a particular page a deterrent, is the site easily navigable – every action will have a story to tell. Use the behavioural data to build and enhance customer experience. Avoid generic data points such as gender, age, income for building customer profiles, focus on specifics. Effective use of tools such as Acquisitions tab on Google Analytics will enable a more appropriate response tailored for the target audience. Visualize the buying from a customer’s view point. Identify the touch points – the interactions before, during and after the purchase. This will assist in acquiring a knowledge of why certain sales fall through and at which stage. Formulate remedial action on that basis. With technological advances and available tools, getting an insight into the customer psyche is becoming simpler. Creative offers a complete platform for aiding your marketing. Drop by. You will not be disappointed. So if you have not dipped your finger into mobile marketing, use these mobile marketing tips for small business to get on the boat! Encourage customers who use mobile services such as FourSquare, Google+, ShopKick or SpotIt to check-in to your location and offer a reward for them doing so, such as incentives, special discounts, prizes or recognition for a certain number of visits. Use your mobile phone to keep your Facebook, Twitter, Google+, LinkedIn and Instagram profiles up-to-date and engaged. 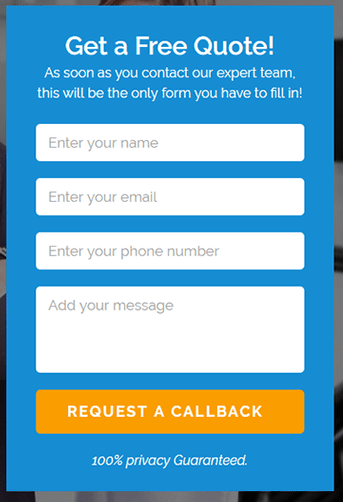 Create opt-in campaigns allowing your customers to sign up to receive special messages, alerts and rewards for joining your text campaign. Use this platform to allow customers to take a specific action such as participating in a survey or visiting your website in exchange for a reward . Using Quick Response Codes allows users to access a specific content area in order to obtain a special reward or to take advantage of a specific promotion. QR scanners can easily be downloaded for free onto any smartphone, and you can create your own QR codes easily . Track orders, payments, shipping details and respond to questions quickly on the go using your smartphone. This is easy and convenient for you and your customers enjoy the faster responses from it. Mobile directories have replaced the phone book yellow pages for the majority of people. If you want to ensure your business is found, register with several mobile directories such as Yelp, Google+Local, and Yellow Pages. Include the name of your business, the product/service you provide, business hours, phone number, physical address and link to your website. If You Want to make your business even more easily accessible then,create an app. Your app should provide unique content apart from your other digital presences, but still sell products, allow you to communicate with your customers, or whatever else you desire. Eighty-five percent of smartphone users surveyed feel more at ease navigating an app than a mobile version of your website. If you’re already into mobile marketing, keep doing your research in order to keep your business on top of the newest trends.Social networking and mobile marketing are constantly moving forward and evolving. If you do not stay on top of the times and stay tuned into what mobile marketing means, it’s too easy to get left behind. the quickest way to improve site speed is to simplify your design. Streamline the number of elements on your page. Use CSS instead of images whenever possible.Combine multiple style sheets into one.Reduce scripts and put them at the bottom of the page.By doing a campaign to reduce the number of components on each page , you reduce the number of HTTP requests needed to make the page render and you’ll significantly improve site performance. Our target is a server response time of less than 200ms (milliseconds).Google recommends using a web application monitoring solution and checking for bottlenecks in performance. Compression reduces the bandwidth of your pages, thereby reducing HTTP response. You do this with a tool called Gzip.Large pages are often 100kb and more. As a result, they’re bulky and slow to download. The best way to speed their load time is to zip them,a technique called compression.Most web servers can compress files in Gzip format before sending them for download, either by calling a third-party module or using built-in routines.Enabling compression, it’s a great option for speeding up your site. When you visit a website, the elements on the page you visit are stored on your hard drive in a cache, or temporary storage, so the next time you visit the site, your browser can load the page without having to send another HTTP request to the server.For all cacheable resources like JS and CSS files, image files, media files, PDFs, etc. Set Expires to a minimum of one week, and preferably up to one year in the future. Don’t set it to more than one year in the future because that violates the RFC guidelines. WYSIWYG resources make it easy to build a Web page, but they sometimes create messy code,and that can slow your website considerably.Since every unnecessary piece of code adds to the size of your page, it’s important that you eliminate extra spaces, line breaks, and indentation in your code so your pages are as lean as possible. Whenever it is images, you need to focus on three things: size, format and the src attribute. Oversized images take longer to load, so it’s important that you keep your images as small as possible. Use image editing tools,Crop your images to the correct size. For instance, if your page is 570px wide, resize the image to that width. Don’t just upload a 2000px-wide image and set the width parameter (width=”570”). This slows your page load time and creates a bad user experience. JPEG is your best option. PNG is also good, though older browsers may not fully support it.GIFs should only be used for small or simple graphics (less than 10×10 pixels, or a color palette of 3 or fewer colors) and for animated images. Do not use BMPs or TIFFs.Once you’ve got the size and format right, make sure the code is right too. In particular, avoid empty image src codes. When there’s no source in the quotation marks, the browser makes a request to the directory of the page or to the actual page itself. This can add unnecessary traffic to your servers and even corrupt user data.Take time to re-size your images before uploading them. And always include the src attribute with a valid URL. CSS holds the style requirements for your page. Generally, your website accesses this information in one of two ways: in an external file, which loads before your page renders, and inline, which is inserted in the HTML document itself.You get cleaner coding if you put all CSS in your external stylesheet. Too many plugins slow your site, create security issues, and often cause crashes and other technical difficulties.Deactivate and delete any unnecessary plugins. Then weed out any plugins that slow your site speed.Try selectively disabling plugins, then measuring server performance. This way you can identify any plugins that harm your site speed. Redirects create additional HTTP requests and increase load time. So you want to keep them to a minimum.If you’ve created a responsive website, more than likely, you have redirects in place to take mobile users from your main website to the responsive version. Use a HTTP redirect to send users with mobile user agents directly to the mobile equivalent URL without any intermediate redirects, and Include the markup in your desktop pages to identify the mobile equivalent URL so Googlebot can discover your mobile pages. Hosting your media files on a content delivery network is one of the best ways to speed up your site, and can often saves up to 60% bandwidth and halve the number of requests your website makes. I recently realised how much impact having a fast web host has when I migrated a client’s site to WPEngine. Without changing anything else, the site went from average to lightening speed.one of the quickest and easiest ways to cut your page loading speed is to install a caching plugin like WP Total Cache or WP Super Cache.To prevent lots of page speed issues in the first place, you should opt for a good host, a good CDN, and good theme / design.Installing the WP Smush.It plugin to automatically compress your images.One of the pitfalls with WordPress is that your database can get very messy very quickly due to saved drafts, post revisions, deactivated plugins etc. WP Optimize is a fantastic plugin that routinely deletes all of the stuff you don’t need that’s cluttering up your database. To save bandwidth and speed up page load timesGzip is a simple method for compressing your website’s files . Broken links are not only a drain on bandwidth, but they’re also one of the surest ways to get a user to leave your site,So that fixing brokenlink is very important. Reducing Your redirects is the part of speed up your websites.While 301 (permanent) redirects are preferable to 404 errors (broken links), they’re still not ideal as they slow down the time it takes for the browser to reach the correct version of a page.Screaming Frog is once again a great tool for spotting 301 redirects. If you’re using a PC, you can also use Xenu Link Sleuth, which is a great tool for crawling data from websites. Minify your CSS and JS files.Also Replace PHP with static HTML where possible.Link to your stylesheets, don’t use @import.Turn off ping backs and trackbacks in WordPress.HTTP Keep Alive refers to the message that’s sent between the client machine and the web server asking for permission to download a file. Search Engine Optimization involves desiging,writing and coding a websites in way that helps to improve the volume and quality of traffic to your websites from pepole using search engines.Effective SEO techniqes help you to get more potential customers to your website.SEO services are mainly utilized to improve and advertise your websites to acquire the visitor’s attention and gaining the top positions in popular search engines such as Google, Yahoo, Bing etc. At Creative, We ensure that your website achieves top rankings among first two result pages in various search engines. Our website promotion team rigorously adheres white hat SEO techniques to make sure that our local as well as global clients get the best SEO services possible and the highest ROI on their SEO campaigns. Providing SEO services since 11 years. No 1 position in Google since 11 years.Page Rank 6 website till year 2010. Currently Google Page Rank 4 surviving numerous Google Algorithm updates.We have more than 300 satisfied clients with 100% results on search engines. Our highly experienced SEO experts ensures top Google rankings which leads to the high revenue for their business and ultimately higher profits.We also offer keyword-specific content development projects as we are an end to end internet marketing company based in Mumbai, India.We focus in promoting client’s website on local keywords by focusing on the potential audience beneficial for our client’s business. We use various SEO services including title & meta tags optimization, keyword research & selection and full website analysis to tailor adequate results. They provide best dental implants, All on four implants, Porcelain Veneers, Full mouth rehabilitation, Gummy smile treatment, Zirconia dental crowns, Immediate function implants at there Nobelbiocare dental implant clinics in Mumbai, India. They provide instant cash loans on car title. No need of job, or security checks. We provide bad credit car title loans in Canada. Tmegulf is the leading Manufacturer of Industrial Fasteners in UAE, Industrial Fasteners in Middle East, Imperial and Metric Construction, Oil & Gas, Alloy Steel etc. American Metal Fasteners is a distributor of fasteners in various grades such as B7, B7M, L7, L7M, Duplex, Super Duplex, Inconel, Monel, Hastelloy & Stainless Steel. With our experienced staff and quick turn around times we can cater to clients with a personalized toch. has been manufacturing and supplying fasteners since 1939. With over 70 years of wide experience in offering an extensive array of products for all your industrial applications. Our success has been possible through excellent service and a commitment to quality unmatched in the industry. FACO Fasteners is a world leader in manufacturing Industrial Fasteners such as Foundation Bolts, Connections Bolts, Stud Bolts and U-Bolts. We manufacture as per DIN, ASTM, BS, ANSI, JIS, IS and ISO standards in Imperial as well as Metric sizes. To cater to the customers individually we also fabricate fasteners as per customers requirements. How to start a week with effective digital marketing? Effective Digital Marketing means optimally using the digital platform for better business and branding of your product or services using various digital marketing techniques. Small efforts towards making your digital world more impressive to the masses can help you gain more business and help you to connect with your clients in more implicit way. Everyone loves to surf the web over smartphones and stay connected on-the-go, thus designing a website which is mobile-friendly i.e., it can be viewed easily over your smartphone companion without much hassle. This would gain your website more audience for offering the convience to surf information with ease. Also don’t forget to make your website fast! A business blog is a thumbs-up! A blog can be a winning addition to your website. It can improve the SEO, set your website to be different from your competitors and also bespeak your your knowledge. In order to be found by consumers who are local, you need to upgrade your site with local information like your geo-location and your work-space address. In ways for leading the business, we need to make sure to be there for our consumers. And sharing information about your work and business proposals can help you gain more clients. Social media marketing is now an essential part of digital marketing. Knowing which audience to target, and how to reach them is one of the most important part of digital marketing strategy. Internet marketing works only when you know the right people for selling your business and also key ways for web promotion for those people. Mobile marketing is promotional activity designed for delivery to cell phones, smart phones and other handheld devices, usually as a component of a multi-channel campaign. Some mobile marketing is similar to advertising delivered over other electronic channels such as text, graphic and voice messages.Mobile gives the chance for an anytime any place anywhere connection to consumers. mobile marketing is related to digital marketing like Mobile phones and tablets have revolutionized digital marketing because they open up radically new touch points for where and when you can connect to your customers.Mobile devices include phones, PDAs, media devices, portable gaming consoles, tablet computers and, of course, those devices which function as all of the above. Some mobile devices may only be open to a few advertising channels like a basic cell phone can receive text messages only while other devices support many additional possibilities, including mobile Internet access, video messaging, and the ability to actively initiate and interact with advertising , by scanning a QR code etc.It can be a massive part of the digital marketing and if you want right mobile strategy that means your website content,SEO,social media and CRM will work on mobile as well as the location based services for more advanced tools.More companies are engaging in mobile marketing including service providers,advertisers and brands from a variety of industries.Because of digital marketing service and social networking Interaction with content has changed greatly over the past year.